As an automotive enthusiast living in Japan, I’ve begun to be plagued by an extraordinary curse. It’s a curse that no matter where I go, or no matter what I’m doing at the time, I’m always on the lookout for cars. I’m always hunting for something unique to feature; always listening for cars and then seeing if I can correctly guess what’s approaching. It’s something that my girlfriend finds both interesting and annoying when we’re walking and driving around the vast metropolis that is Tokyo. Case in point, while stuck in traffic recently, I spotted this 1979 MGB lifted high in the air. 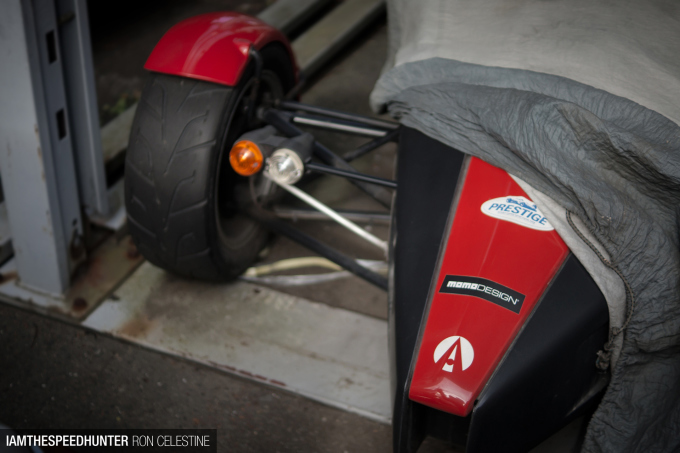 It looked like it had been modified into a race car and had been sitting for quite some time. 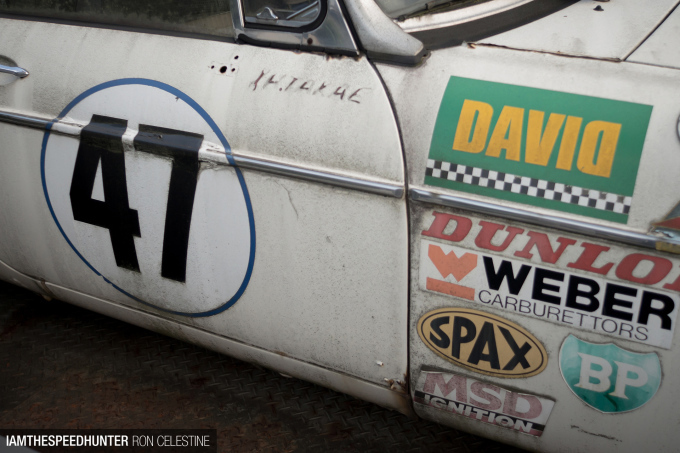 Curiosity piqued, I pinned the location on my phone and made plans to return the next day and find out what stories this MGB and ‘David’ – the workshop it was outside – had to tell. 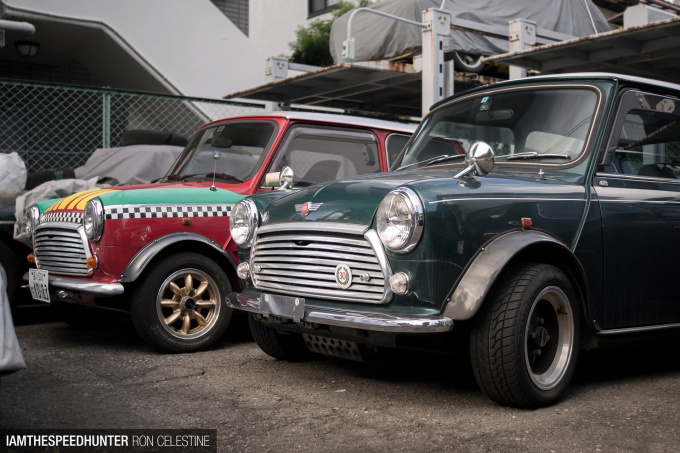 David is a shop that specializes in maintaining and repairing British sports cars, in particular Minis, Rovers, MGs, Austin Healeys and Lotuses. 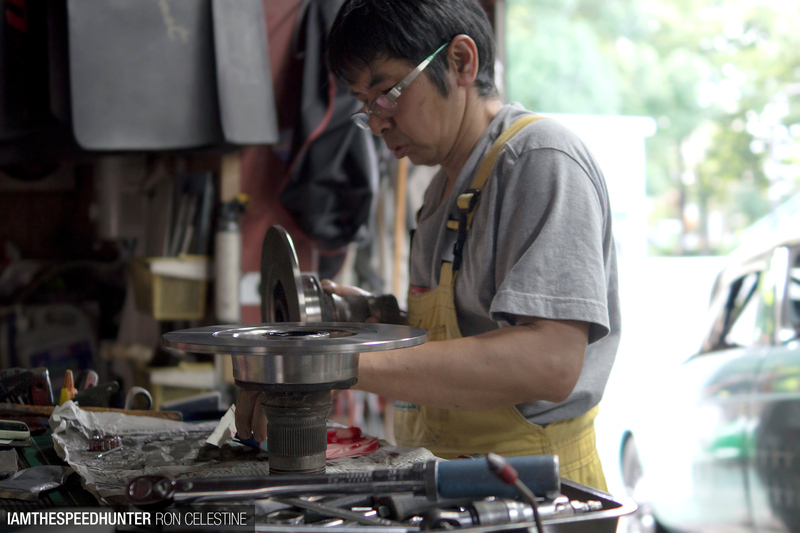 It’s also just like any other workshop you’d expect to find in the heart of Tokyo. 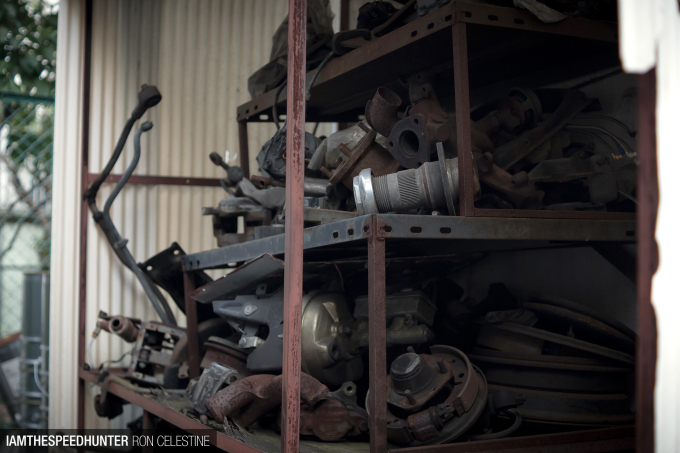 Parts are scattered around both inside and outside of the shop due to the limited space. Customers cars are all over the place too, either waiting for their turn to be repaired or picked up by their respective owners. 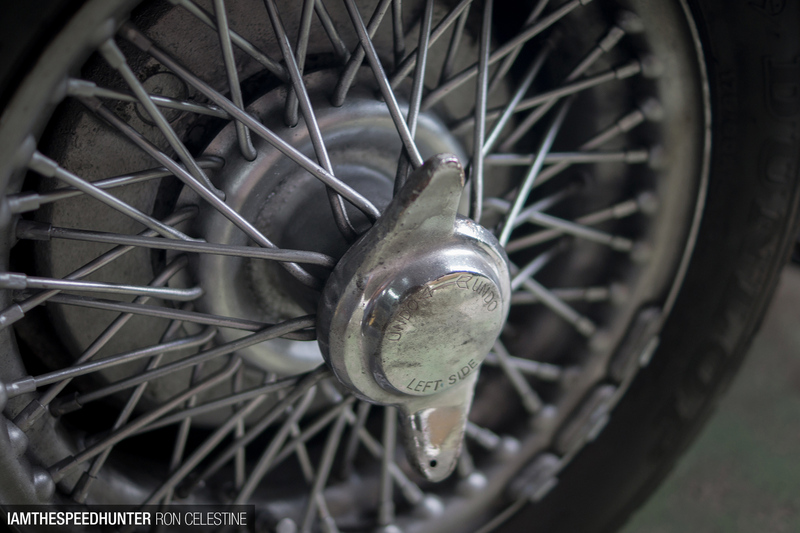 This pair of Series 1 Elises are owned by the same Lotus fan and looked like they’d been sitting in the same spot for months. For a small fee, some shop owners allow customers to leave their cars at their shops for an undetermined amount of time, which makes perfect sense given how ludicrously expensive parking is in Tokyo. 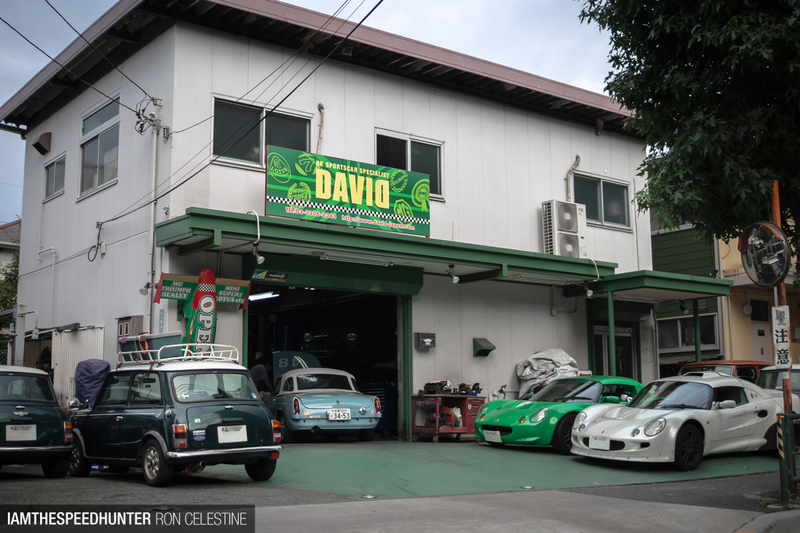 The owner of David, Hiroto Takae, has been a mechanic for over 30 years and has a very interesting background. As a child, Takae-san loved the supercars and sports cars of his generation, like the Lamborghini Countach and the Ferrari 365. These cars ultimately inspired him to join a race team as a mechanic. 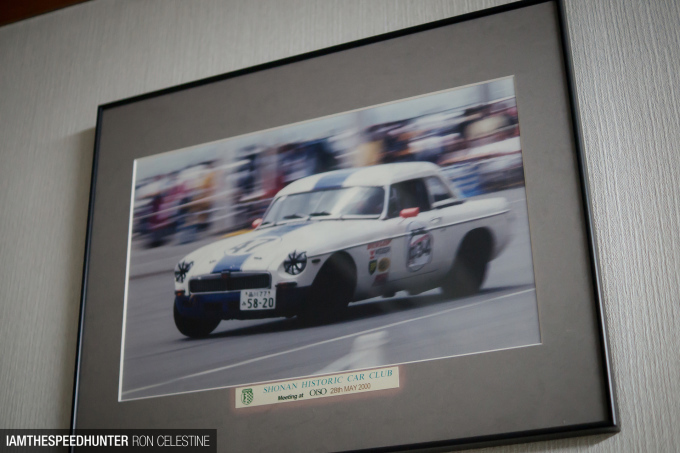 To Takae-san, European sports car at the time were much more reliable around a circuit than their Japanese counterparts, thus he knew where he wanted to focus most of his time and energy. However, after joining a team and working as a race mechanic for a few years, he realized that he wasn’t progressing at the rate he had hope to, and decided he wanted to do more than just fix cars. So he took the opportunity to open his own shop specializing in European sports cars, something that would also allow him to indulge in his racing hobby. 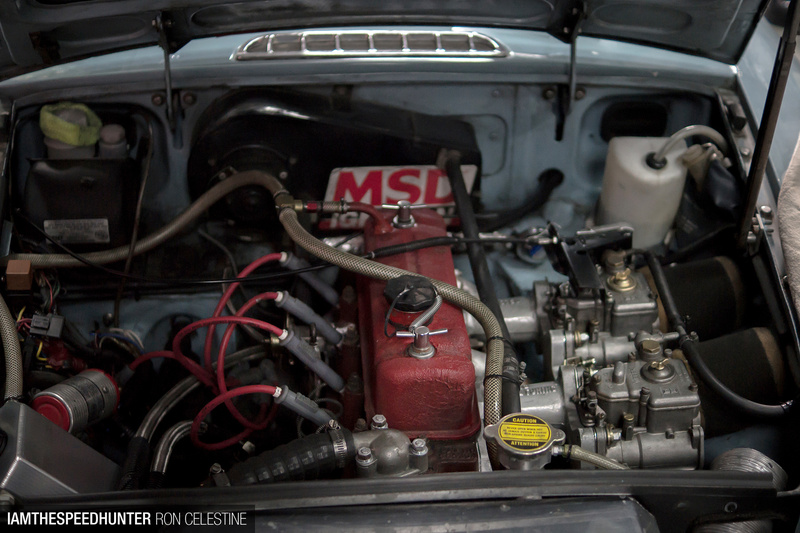 In looking to build a car, Takae-san found everything he was looking for in this 1979 MG MGB. 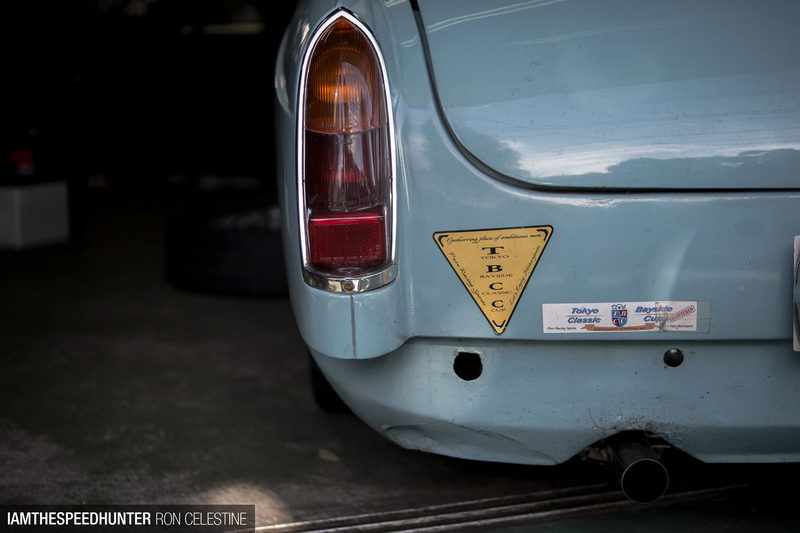 The car’s seen plenty of race miles since it was converted to circuit spec, but in order to concentrate on his business, Takae-san’s parked it up for the time being. 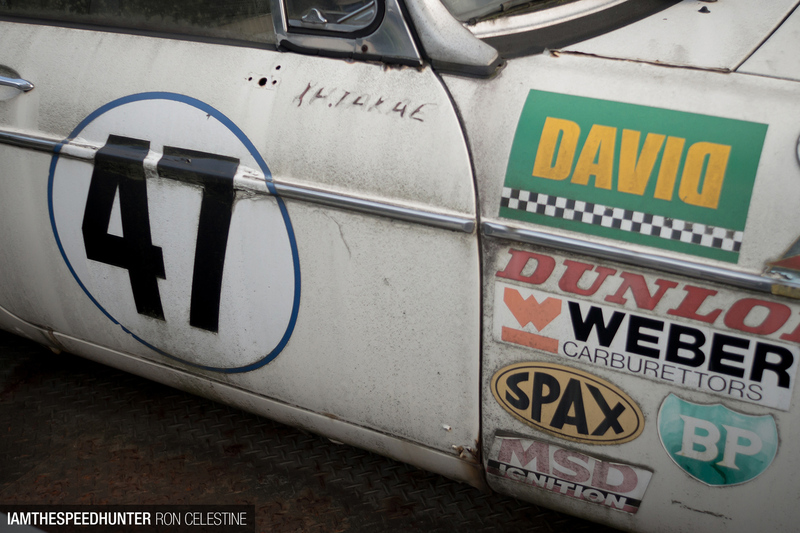 He does however plan on resurrecting his MGB and taking it back to the race track as soon as he’s able to. 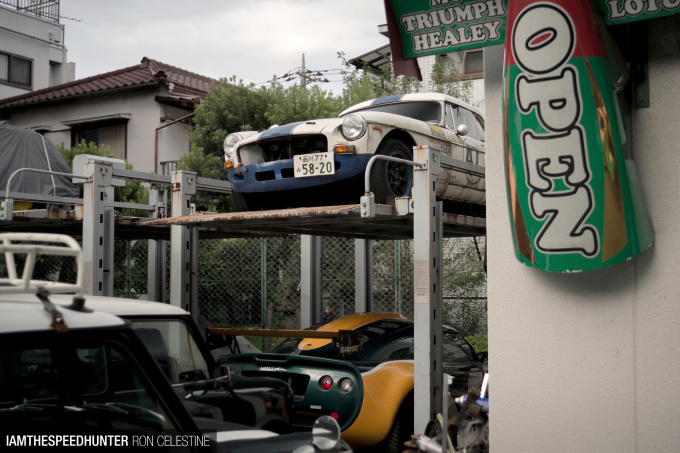 As you might expect with such a specialist shop, Takae-san has some unique cars hiding under covers. 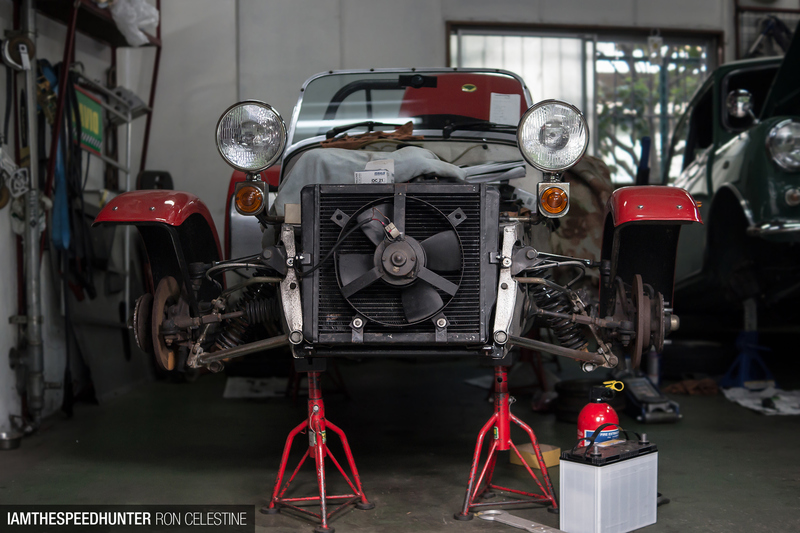 Based on the Lotus 7 design, this Birkin S3 build is progressing along nicely. There are still quite a lot of things that need to be finished off, but with each nut and bolt added it’s getting closer to completion. 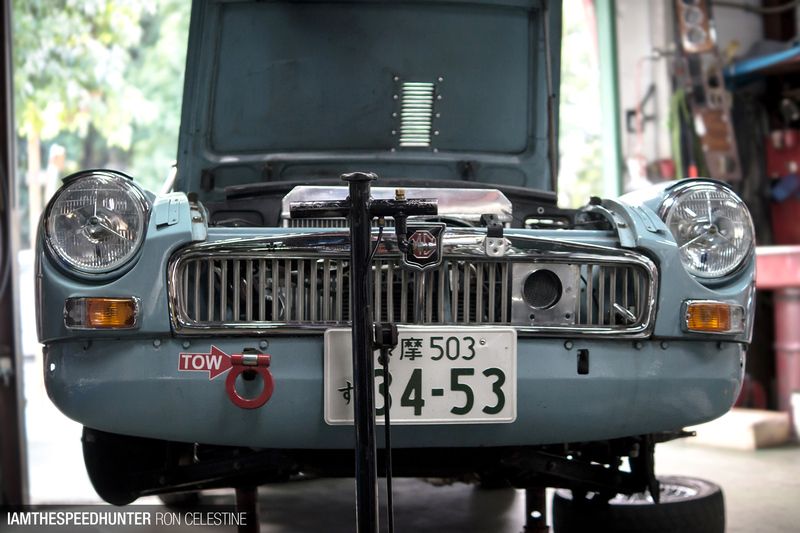 Of all the cars I found at David, the most interesting and surprising find sat directly under Takae-san’s MGB. 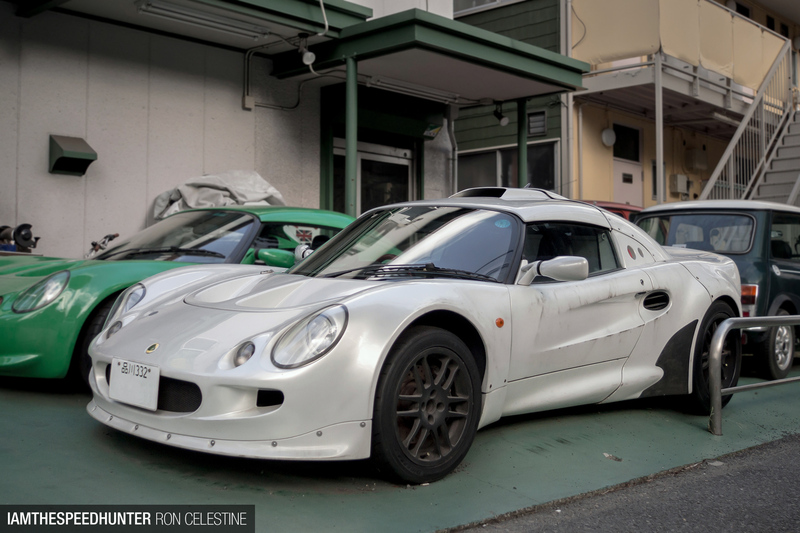 It’s an original Lotus factory race car. And the previous owner? None other than the ‘Drift King’ himself, Keiichi Tsuchiya. For the Lotus Championship, this one came with a 1.8-litre K-type Rover engine, front and rear double wishbone suspension, and a central driving position. 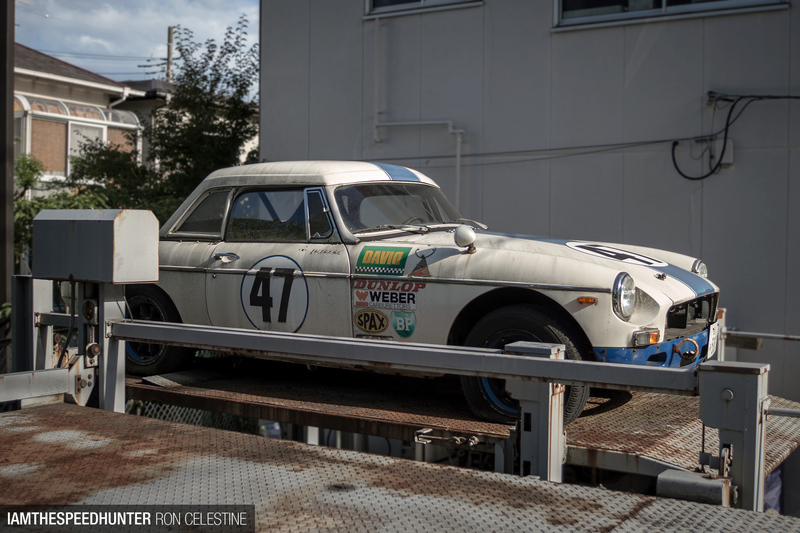 At the same time I was exploring the shop, Takae-san was busy preparing a customer’s 1967 MGB for the Tokyo Bayside Classic Cup Challenge happening the following week. 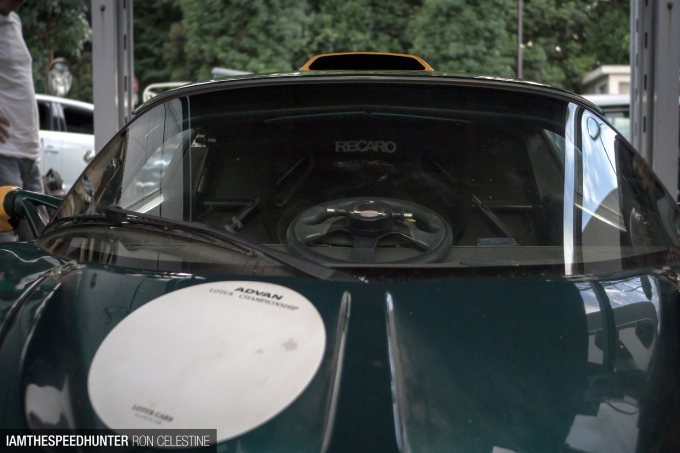 Just like Takae-san, Shuji Higuchi prefers racing classic European cars over Japanese ones. 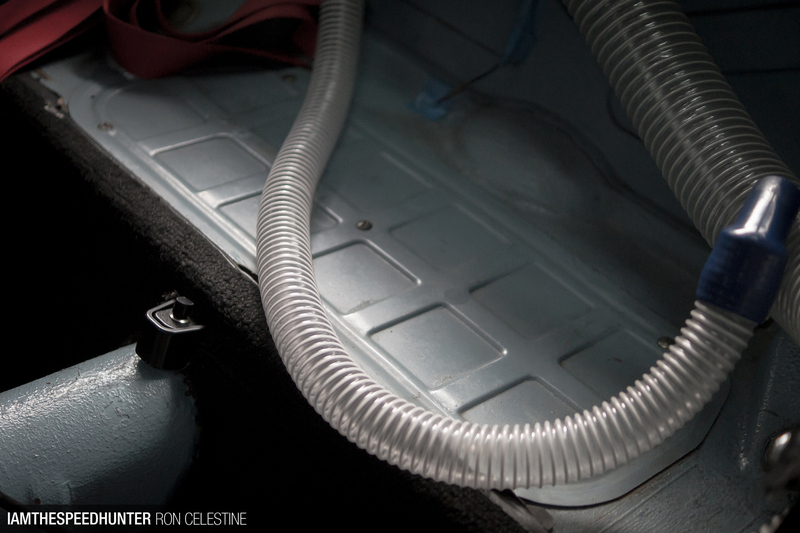 Under the hood, it’s the original 1.8-liter BMC B-series engine. To keep within his preferred class, Higuchi-san has chosen to keep things pretty mild. There’s MSD ignition, but the most noticeable upgrade are the twin Weber side-draught carburetors. 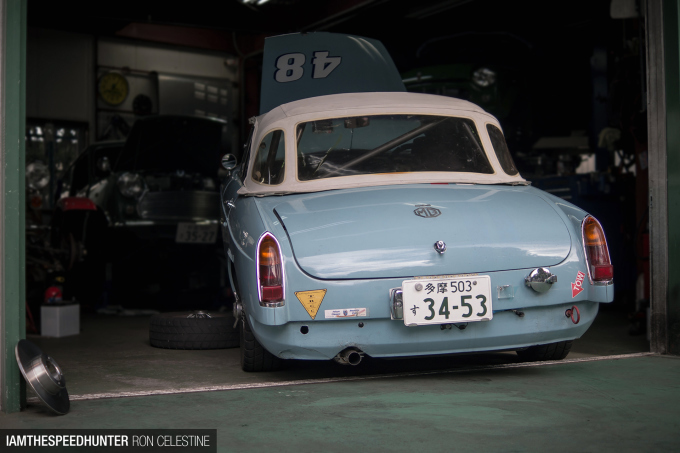 Inspired by his love for NASCAR, Higuchi-san also retrofitted this helmet air cooling system into his MGB. I love how knocks-offs, or knock-ons depending on which side of the pond you live on, are designed to be removed by blows with a hammer. Simple, crude, and a hell of a lot of fun! With Takae-san and Higuchi-san busy making adjustments for the race, I decided this would be the perfect time to get out of their way and let them finish up. However, before leaving, Higuchi-san gracely invited me to join him and attend the Tokyo Bayside Classic Cub race series. With the chance to get an up close look at some rather rare cars and spend the day at a race track, how could I possibly say no?! As an outsider who is used to seeing rather huge shops in the States, it still amazes me how the Japanese can be so efficient with their small workspaces, and this one was especially cool. Who would have thought that being stuck in crazy Tokyo traffic would turn up such a find! 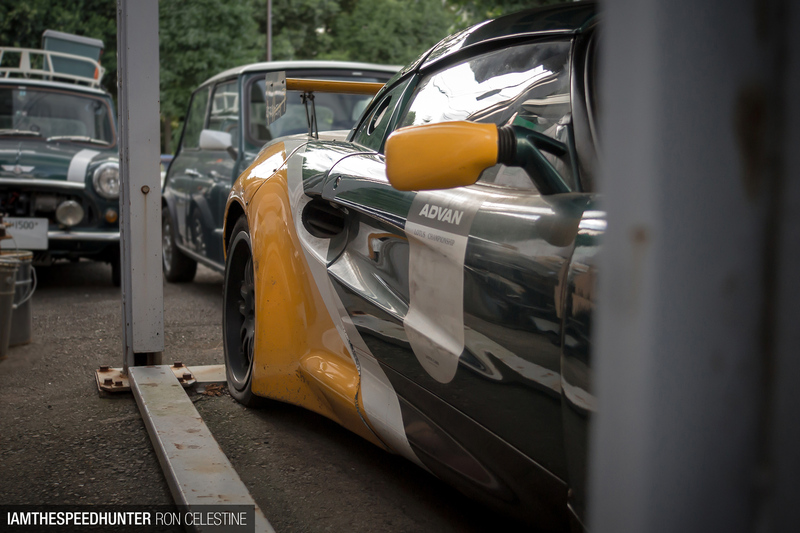 great, love the lines on that lotus racing elise, the smooth widened rear is beautiful! Great read! tough to see though those cars beeing ripped off their glamorous shine at outdoor conditions. 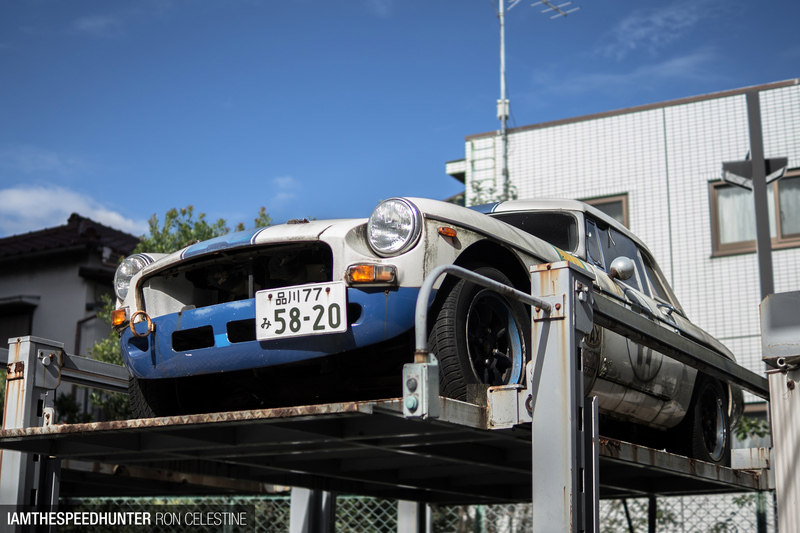 I wonder if they had any part in this Triumph TR4 I saw at Tsukuba last year, hoping it'll be there again in a few weeks time! Absolutely wonderful car. British engineering with the Japanese twist. @marlonsamuel Yeah you pretty much got it. Dino's Japanese is better than mines as well so it's not really a problem for us. Other places.. well, fair or not English is the international business lang so sometimes that can play to our advantage! 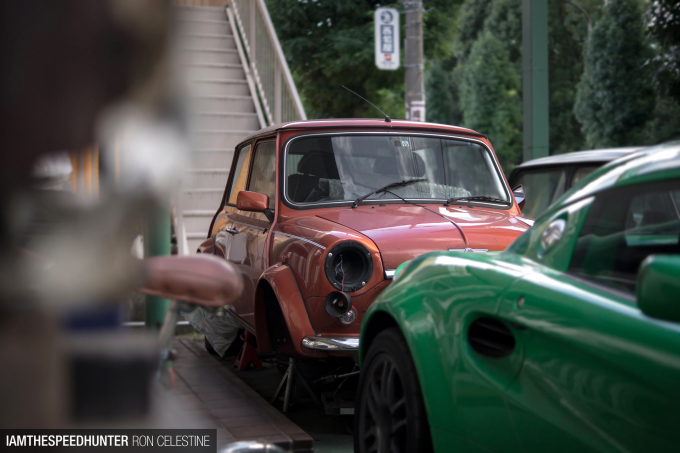 Is this shop related at all to another Japanese shop that specializes in Mini's and Lotus' or are there that many British specialists in Japan?? 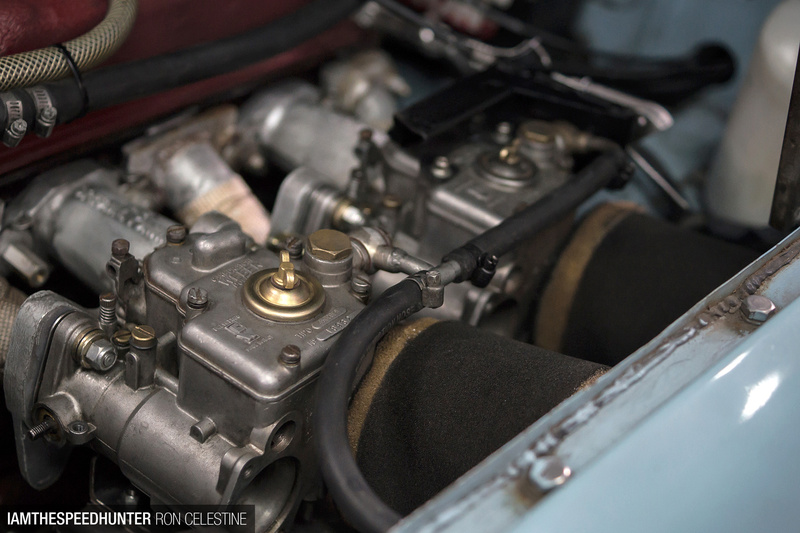 As the B-series engine on the MG is only 5 port those are "split" twin Webers, each only using one barrel (which is why there are only two ram tubes and filters). 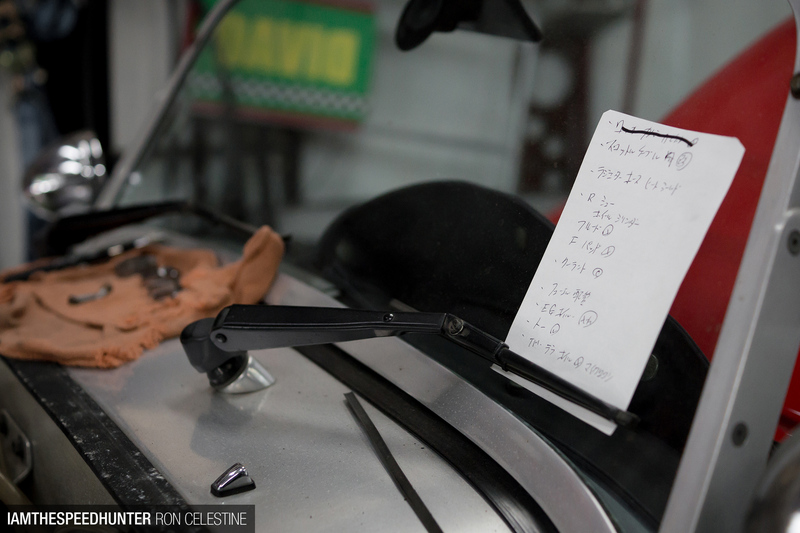 It's an old racing trick (also used on minis and A-Series engines) as regulations normally state you have to have the same number of carburetor barrels as stock. 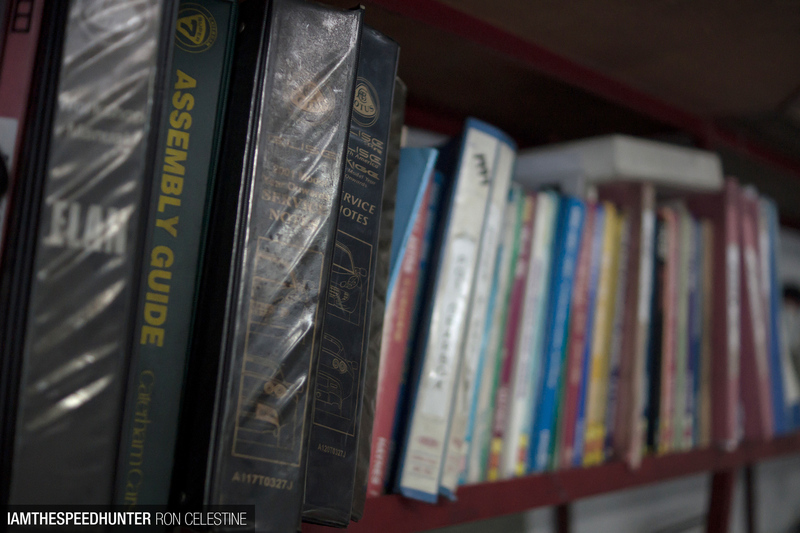 Ron Celestine I was thinking about the mini place near Sodegaura reading this! They had some crazy custom cars in that showroom. Worth a look sometime! Dino has some competition now ..haha, fun read! 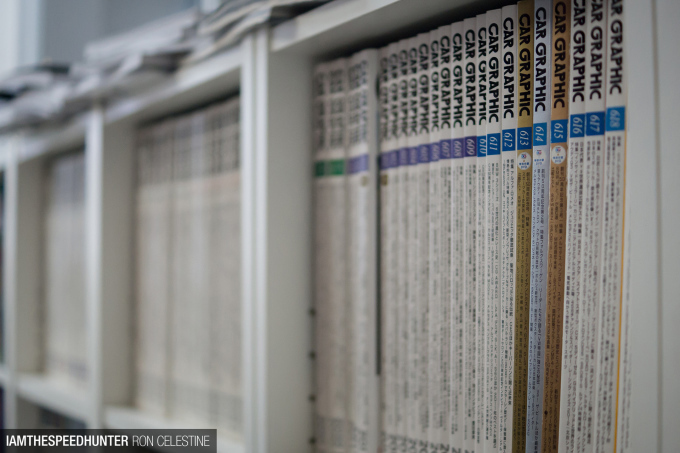 Love the pics, but please can you leave the "san" and "chan" (if applicable) out? It really reads like it was written by a japanophile..
Hahaha that's crazy! Yeah they def do have some crazy stuff there. Maybe we should check it out ;)? 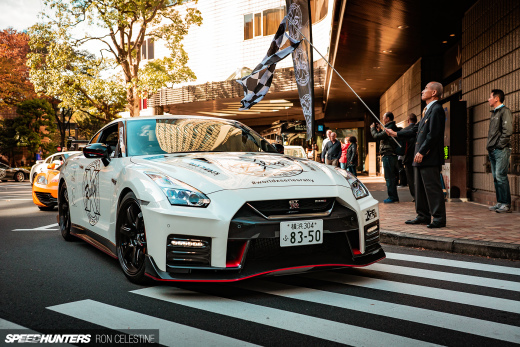 Maybe I watch too much anime or something, but man even the euro and usdm cars in Japan seem better lol. Haha there is nothing wrong with watching too much anime They really don't hold back here !